The wire harness is an extremely important aspect of modern life, although many people would never know that. Hidden safely out of sight, behind walls or within electrical boxes, these simple pieces of electrical equipment protect all of us from electrical issues and help engineers supply the right kind of power and information to the right kind of places. Without the wire harness, our world would be more dangerous, and electricians would be spending hours trying to figure out electrical wiring. 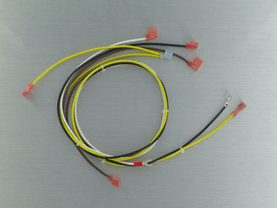 Since these products are incredibly important, it’s a good idea to understand Wire Harness Design and Manufacturing techniques, from the conception to the final product. Here’s how a wire harness goes from an idea to an actual product in a home/business. Wire harnesses are made for specific purposes and, like all great designs, they are created to solve a sp ecific problem. In the case of wire assemblies, the two main problems that they solve are geometric and electrical. Geometrically, a Wire Harness Design must fit inside of a specific space, whether it’s alongside an airplane engine or inside a much larger network of electrical wiring. The second problem is, more obviously, electrical. Wire harnesses, at their very core, are used to keep wires together and protected, so they must meet specific guidelines that ensure the wires are protected from both outside damage and internal electrical issues. With these two ideas in mind, the designers set out to create a specific solution. Usually, wire harnesses are much more specific than people know, being designed along with a larger item. In the case of vehicles, wire harness designers are often faced with a very specific amount of room in which they can house their product, and that means making something designed for that specific model of vehicle. In other instances, such as wire assemblies used in residential or commercial buildings, geometry is often considered second compared to electrical safety, which is paramount. In both instances, however, the design is often created around specific situations so that the best product possible can be made available. At Meridian Cable, we have designed different wire harnesses for all kinds of scenarios, which means we have an inventory of design knowledge that can be easily integrated into almost any new projects and products. Once the designers have created a wire harness that meets all of the right specifications, it goes through multiple safety checks and is then sent to the manufacturer. Depending on the relationship, the manufacturer may be part of the same company as the designer, or it may be an entirely different outfit that has the resources necessary to create the proposed wire harness. Either way, the product moves from the theoretical to the actual, and through that process, many changes can occur. Manufacturers typically have a relationship with the designers, they aren’t simply given blueprints and expected to create the exact thing. Design and manufacturing are essential aspects of creating the perfect wire harness, with each providing necessary insight into creating exactly what the client needs. At Meridian Cable, we pride ourselves on designing and manufacturing a wide array of wire harnesses to meet almost any of your needs.